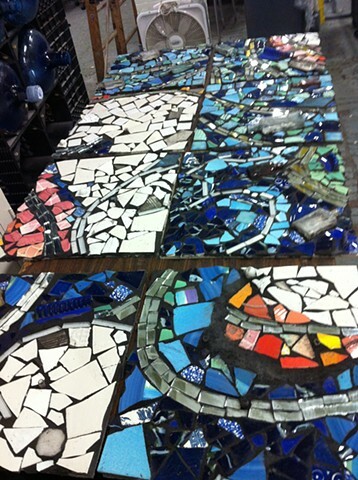 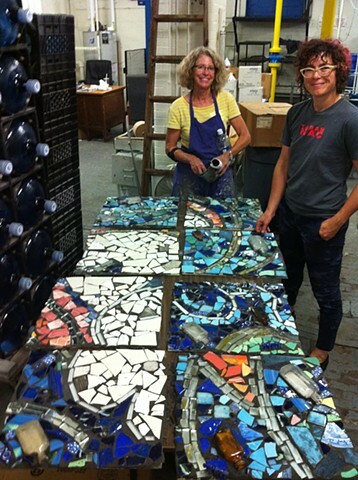 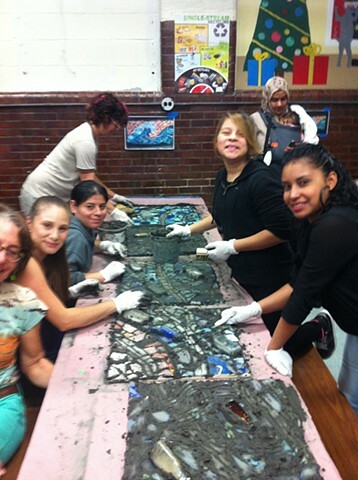 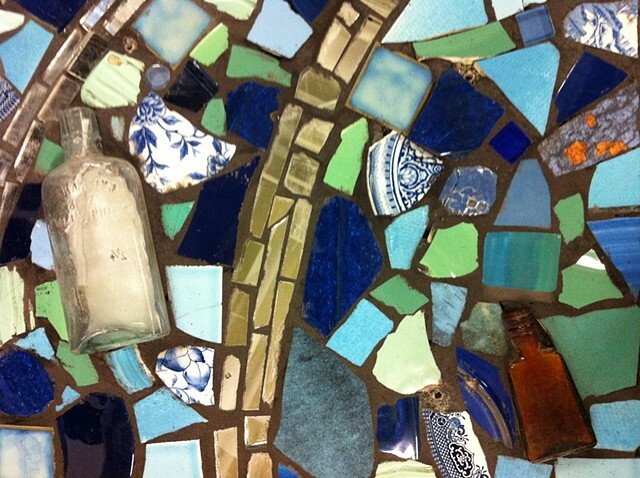 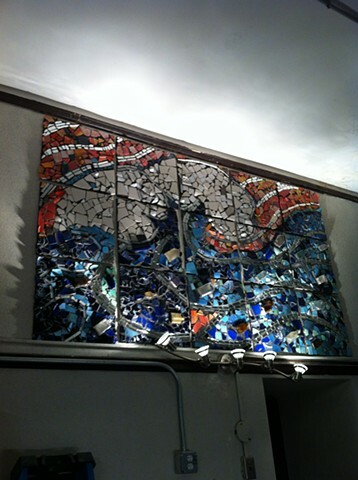 “The Great Wave” mosaic was created by the “Otis Family School” English language learners program, using ceramic shards, old bottles and mirrors. 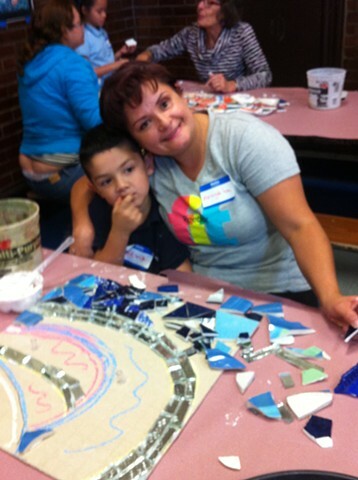 Each wrote a personal "message" to place in a bottle. 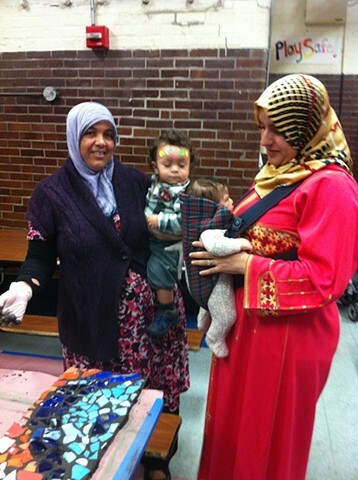 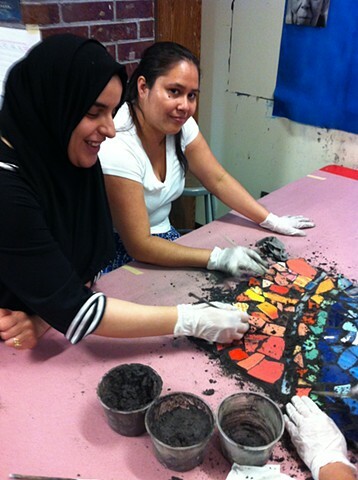 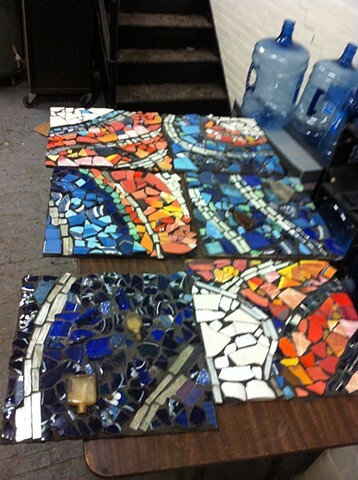 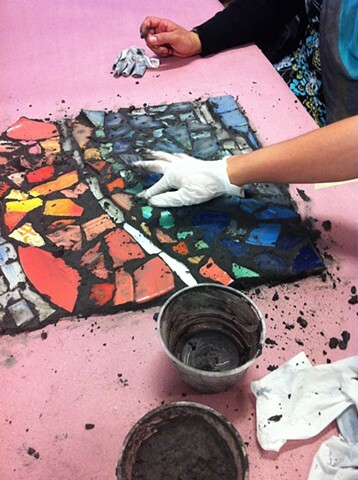 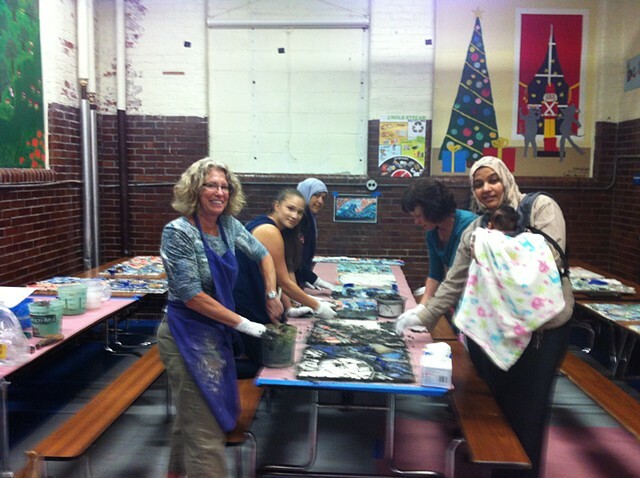 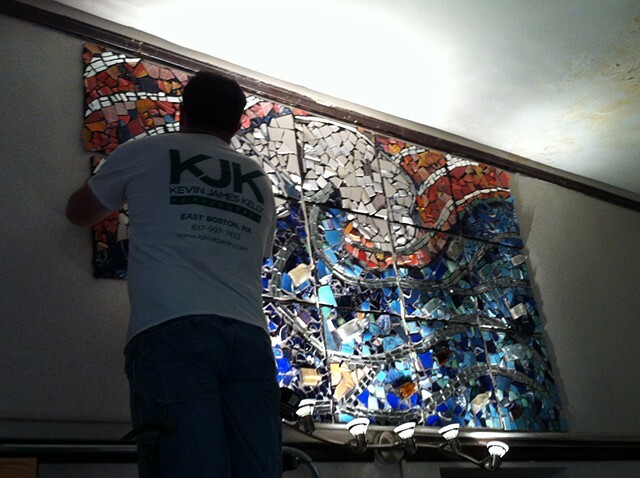 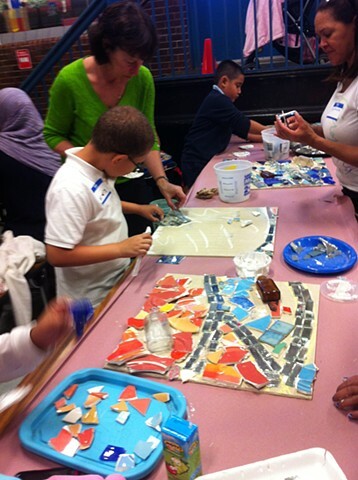 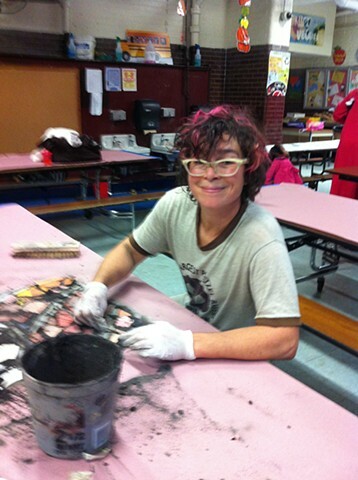 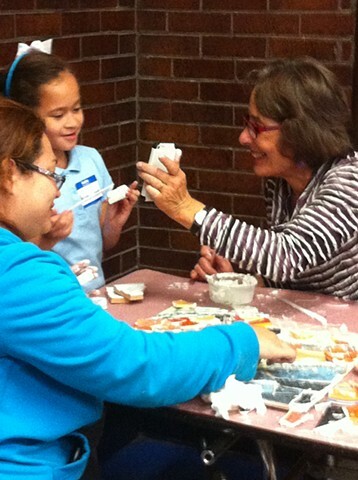 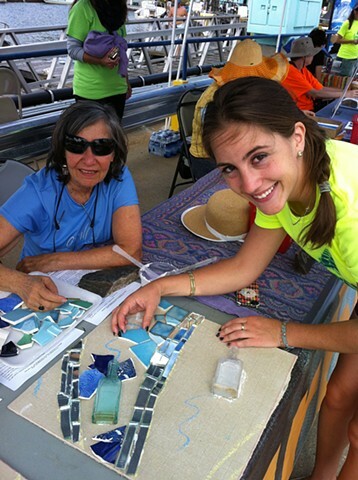 This community building mosaic mural was supported by Harbor Arts, the East Boston Arts Foundation. 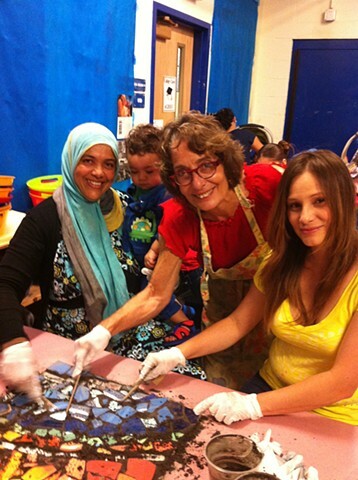 Liz Nofzinger, Parent Liason, Susan Klaw, Director of Otis Family School, Paula Goncalves, Principal, and Elizabeth Michelman, Grant Writer. 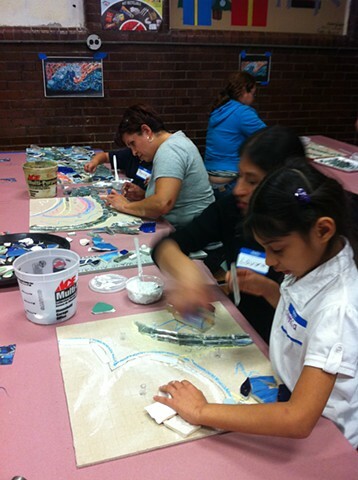 The Great Wave image was inspired by the Japanese artist Hokusai.